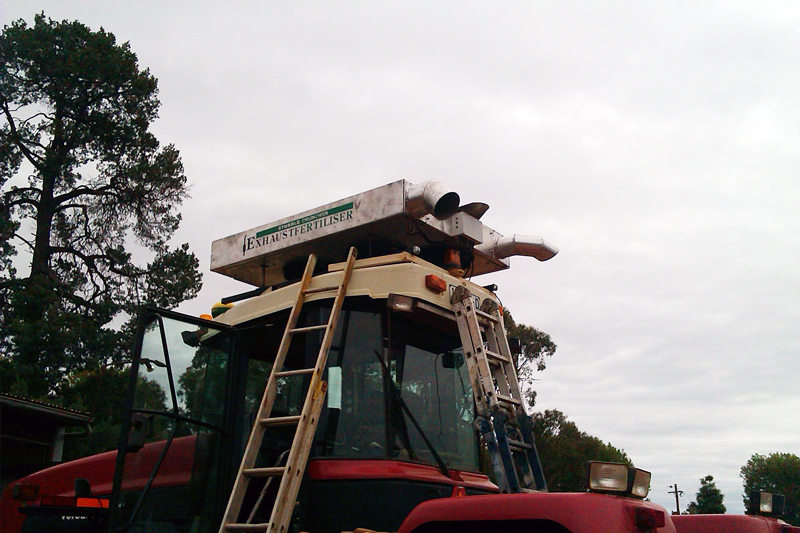 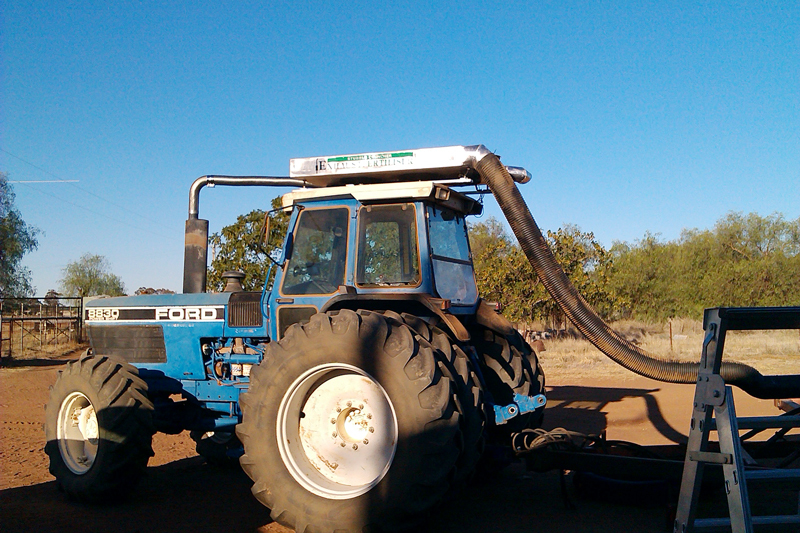 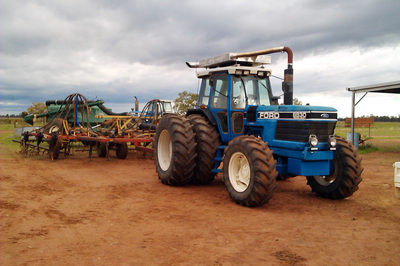 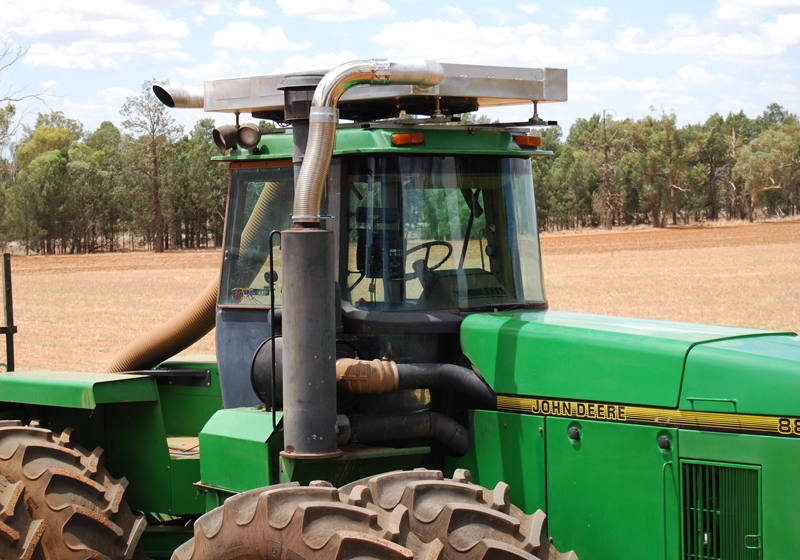 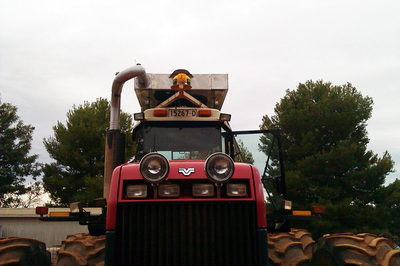 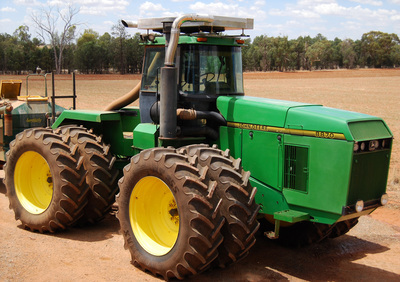 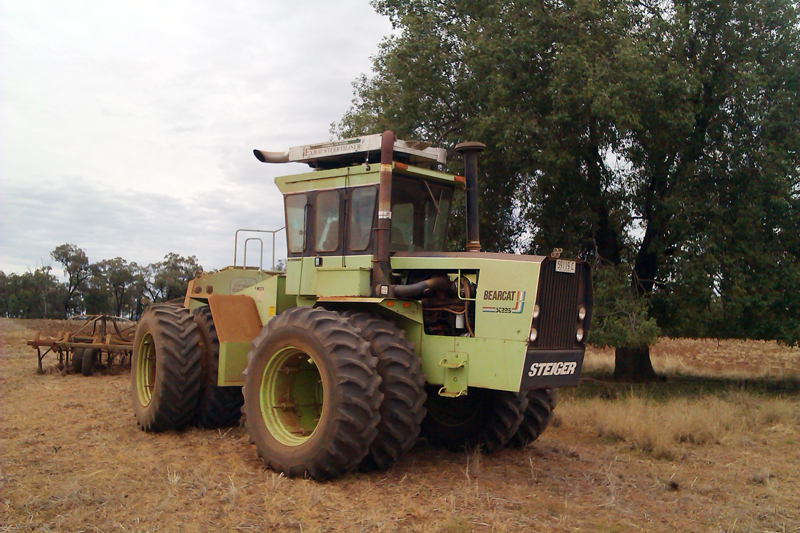 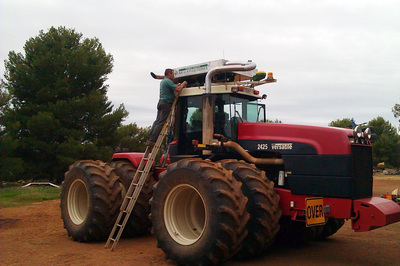 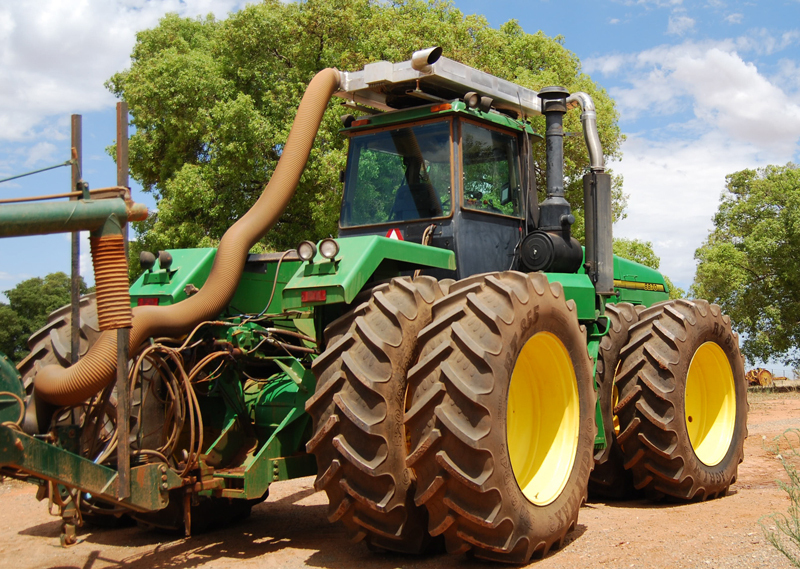 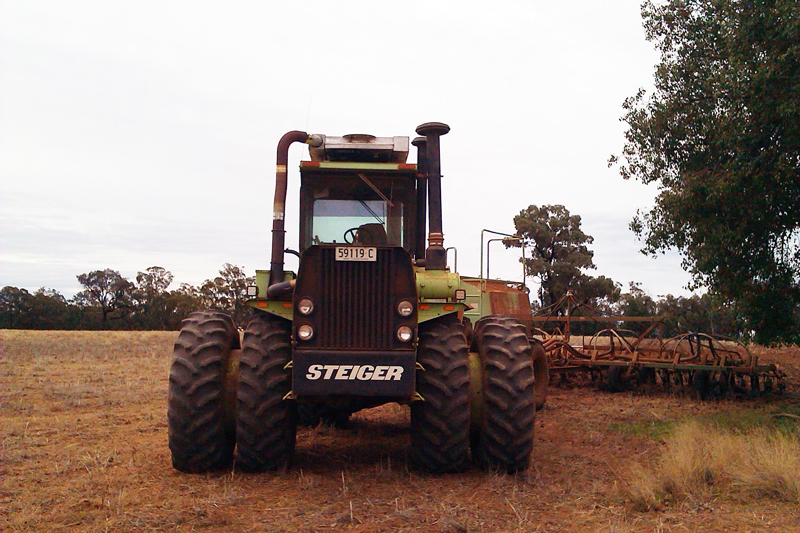 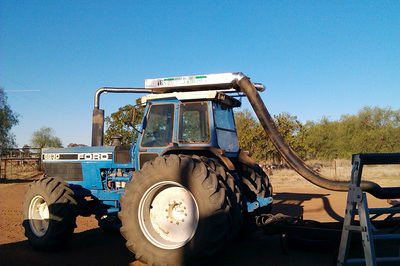 Exhaust Fertilser can also be applied using a combine. A fan is needed to draw exhaust gas from cooler and can be directed into the furrow or down tube in a number of ways. 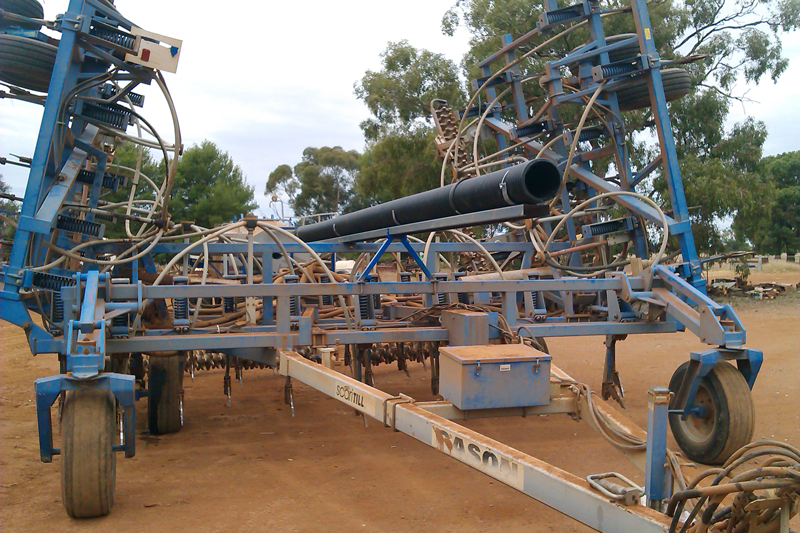 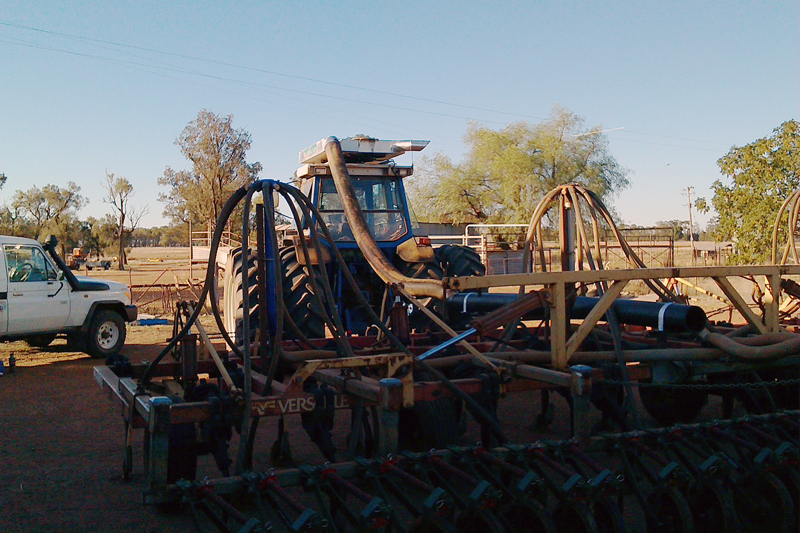 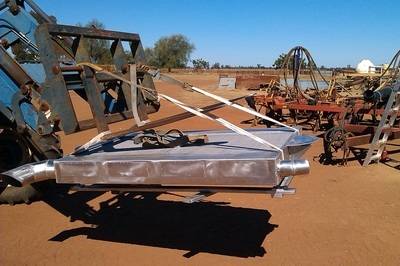 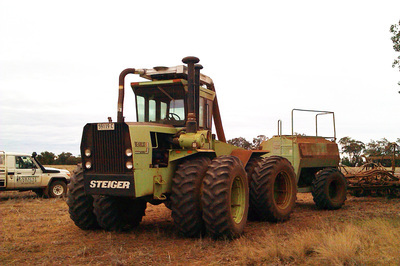 Flexible hose with a wire helix can be used from the cooler straight to air seeder fan, if a tow between box is used. Ridgid ducting can be used through bar and along box with flexible hose used over pivot points. 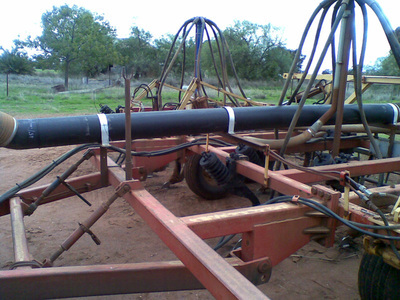 Ridgid ducting can be poly pipe, PVC, fluted PVC or tin ducting which comes with slide joints and angles to suit. 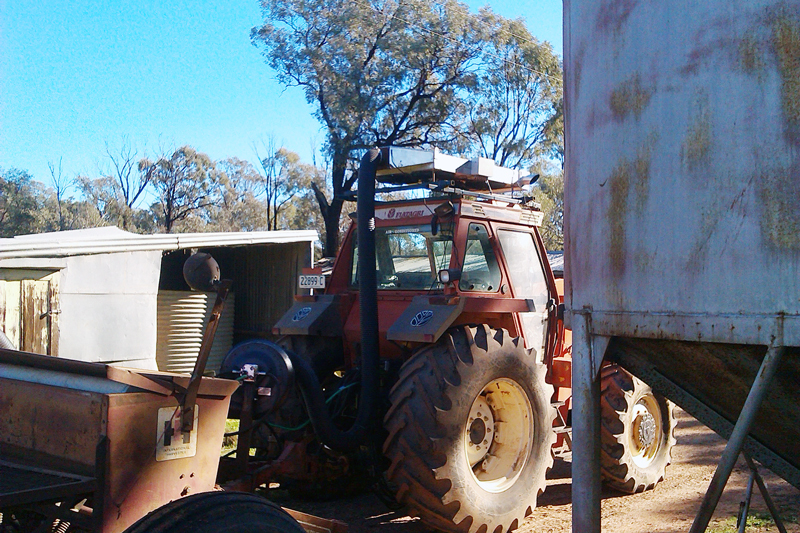 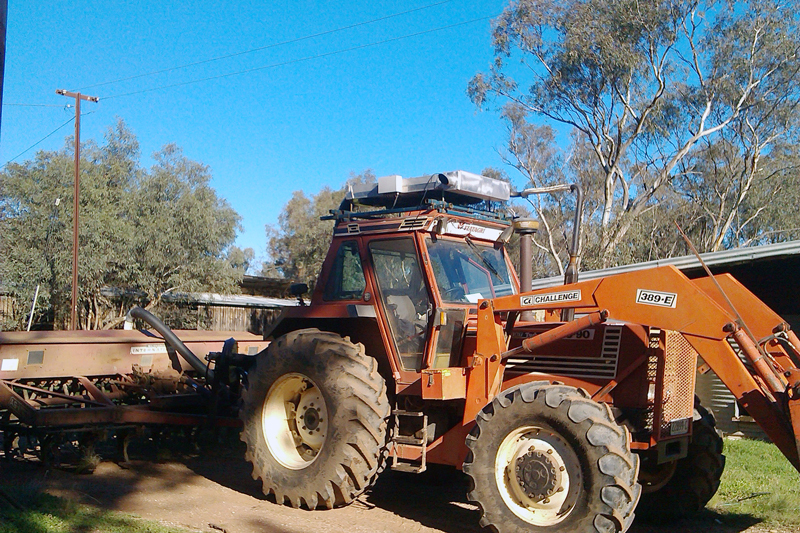 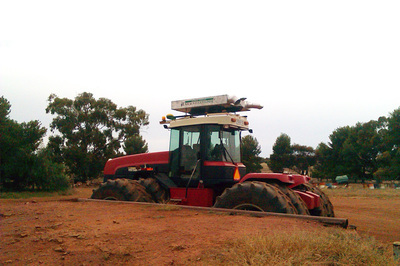 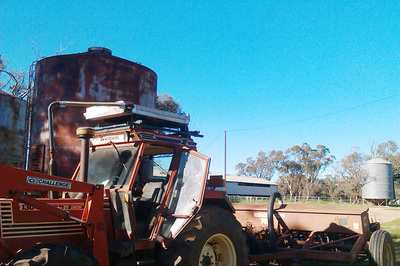 Lift onto roof can be done with a front end loader, a loading ramp may be needed.